I am a strong proponent of the philosophy that every individual has a responsibility to act morally, not only in their personal and professional lives, but also through contribution to society as a whole. 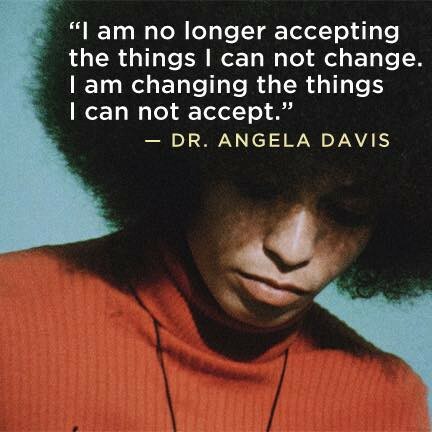 Angela Davis — American civil rights activist, academic and author. It’s not an obscure concept: every person is a part of society, whether they choose to be a leader or a follower; whether they are extroverted or withdrawn from interaction with others; whether they are rich or deprived — either financially or in other terms. Everyone is inherently affected by our nation’s politics, whether they believe in authoritarianism, democracy, liberalism or outright anarchy. We are brought into the world by medical professionals; educated by teachers; housed by builders; employed by businesses or the public sector; protected by security, emergency, health and social services; transported by transport workers; supplied the essential utilities by those that maintain our infrastructure; and supported by the state in times of need. We are all contributors to these services through taxation. The people who do these professions that we rely upon are also reliant upon the same services. What this means is that each and every one of us — regardless of our political ideology — has the duty to contribute to the democratic decision-making process. What it also means is that — because our decisions affect not only ourselves and our families but also everyone else in society — we have a moral duty to ensure that our political choices are fair for the majority of our fellow citizens and UK residents. They are our friends, neighbours and equals. Our choices affect them and theirs affect us. This means that even if you are fortunate enough to be in a comfortable situation, consider the situation others are in. In other words, do everything you can to prevent the Conservatives inflicting harsh austerity on those who are already the most disadvantaged in society. If that means voting tactically for a party you do not support in order to keep the Conservatives out of power, then so be it. USE your vote. ENGAGE with democracy. If you don’t, your voice will be stolen away from you. Play your part. Get out and vote on 8th June.